Photos and video from the 2013-2014 Commencement Opening Ceremony and individual Academic Unit Ceremonies held on IIT's Main Campus on Saturday, May 17, 2014 are now available online. 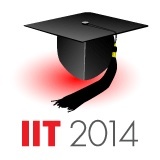 Congratulations to the Illinois Institute of Technology Class of 2014. Congratulations to all the 2013-2014 Illinois Tech graduates, who are now embarking on the exciting next stages in their lives and careers. Commencement is just a few days away. Here are some important instructions that graduating students need to follow in order to make the day run smoothly. Marisa Haire will address fellow graduates at the Illinois Institute of Technology 2013-2014 Commencement ceremony which takes place at 10 am on Saturday, May 17, 2014 at the Main Campus. Congratulations to the 2013-2014 graduates. Illinois Tech will award three honorary degrees at the 2013-2014 Commencement ceremony at 10 am on Saturday, May 17, 2014 on the IIT Main Campus. 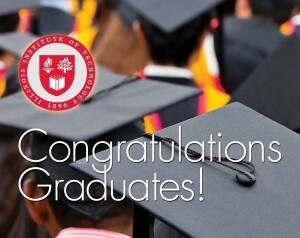 The 2013-2014 Illinois Institute of Technology Commencement Ceremony will be held Saturday, May 17, 2014 on IIT Main Campus. Volunteers are needed for the 2013-2014 Commencement Ceremony, which will be held on Main Campus on Saturday, May 17 and the Ph.D. Hooding ceremony will be on Friday, May 16, 2014.